Got it.Super great,Beatles cartoons.The dolby digital recording is excellent. 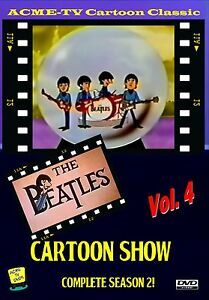 Great Beatles cartoon took me back to the sixties,when I was watching the ED Sullivan show and listening to those great songs. Fab four does it again! Entertaining somewhat silly (hey there cartoons) they have the four singing and making jokes . I really liked it!